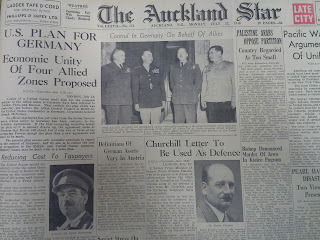 The Auckland Heritage Festival is about to begin again. The region wide festival starts this Saturday, 26 September, and runs for the subsequent two weeks until 11 October. 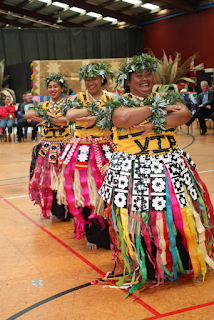 This year’s theme is “The iwi, people, kōrero, and stories that shaped our region, Tāmaki Makaurau”. 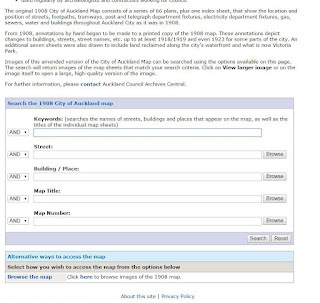 Ref: 2015 Auckland Heritage Festival logo. The recent arrival of the new elephant Anjalee at Auckland Zoo provides an excuse to take a nostalgic look back at one of the Zoo’s previous much-loved elephants: Jamuna. 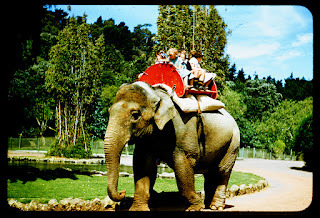 Ref: Ron Clark, Elephant ride, February 1956, Sir George Grey Special Collections, Auckland Libraries, 1207-783. Many locals have fond memories of having had a ride on Jamuna as a child. During her lifetime, Jamuna is estimated to have given rides to three-quarters of a million people. This week Auckland Libraries are celebrating Uike 'o e Lea Faka-Tonga, Tongan Language Week with a range of events across our libraries. This year also marks the 50th year commemoration of Queen Sālote's death and Tonga's Coronation of King Tupou VI. As the theme for Tongan Language Week this year is "Fakakoloa Aotearoa 'aki 'a e faiva 'a e Tonga - Enriching Aotearoa New Zealand with Tongan arts" an appropriate way to pay tribute to the 50th anniversary of Queen Sālote’s passing is to highlight some of the music and poetry that she wrote. 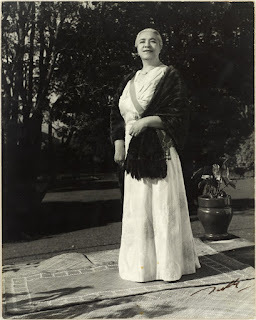 Ref: Clifton Firth, Queen Salote of Tonga, c1961, Sir George Grey Special Collections, Auckland Libraries, 34-375.